Hey there Kenarry readers! 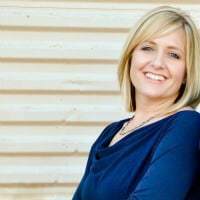 Trish here from By Trish Sutton to share a Thanksgiving Centerpiece idea and to inform you of the countdown to Christmas. The arrival of fall, Halloween and Thanksgiving means that the most wonderful time of the year is near. Christmas is just 66 days away! My vote is to include all 66 days in the most wonderful time of the year. 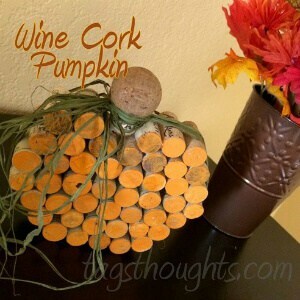 But before we deck the halls, how about some simple fall decor? Put on a pot of Fall Scented Stovetop Air Freshener, and let’s get started! By now you likely know that when I say “simple”, I mean SIMPLE. This SIMPLE fall decor makes a perfect centerpiece for the Thanksgiving table or in my case, the current table. 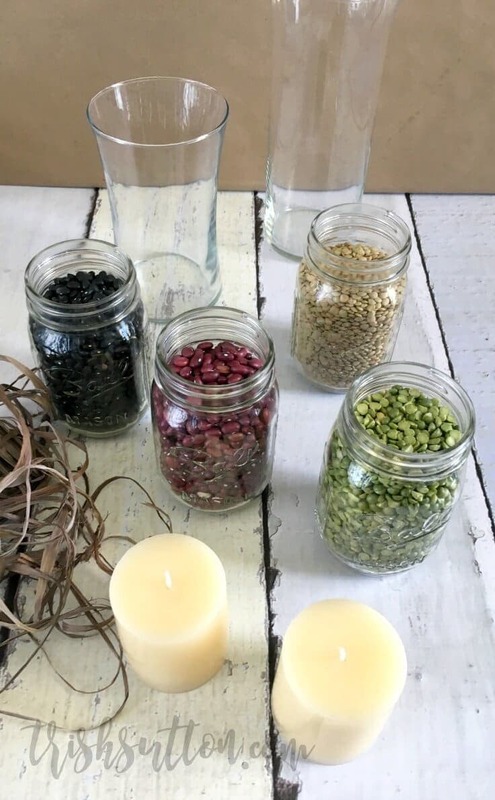 A vase, three or four different types of dry beans or seeds, a candle and raffia are all that you will need to create your own Thanksgiving centerpiece. The colorful dry beans represent the colors of Autumn and they also remind me of the stories about the first Thanksgiving dinner. 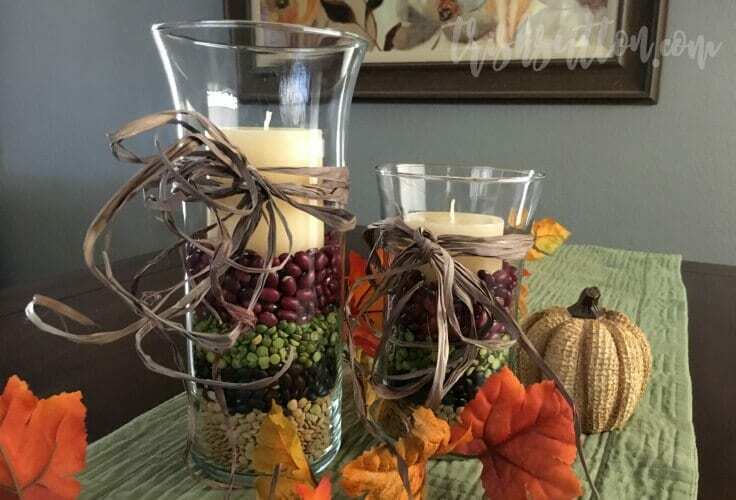 The assembly of this fall decor is as easy as it looks. 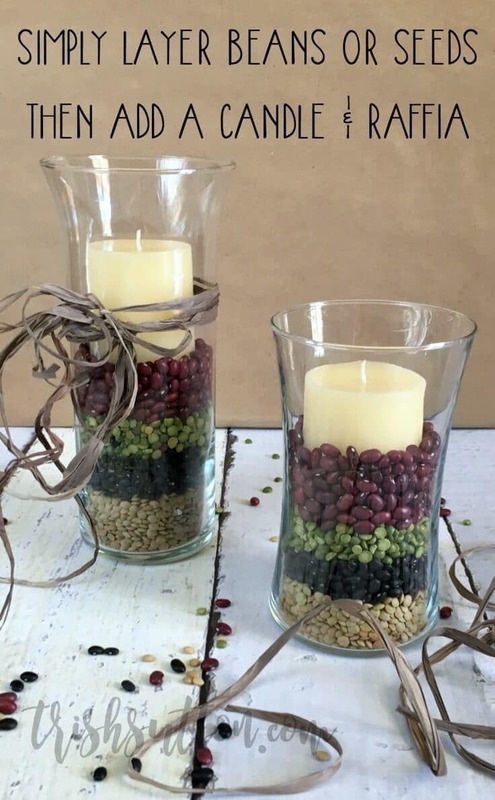 First, pour one type of dried beans (or seeds) into the bottom of the vase. Then apply pressure to the bottom layer of dried beans to create a flat surface. Pour in additional layers of beans, also applying pressure to each layer. Next, place a short candle onto the top layer of beans and push it down until beans surround the bottom of the candle. 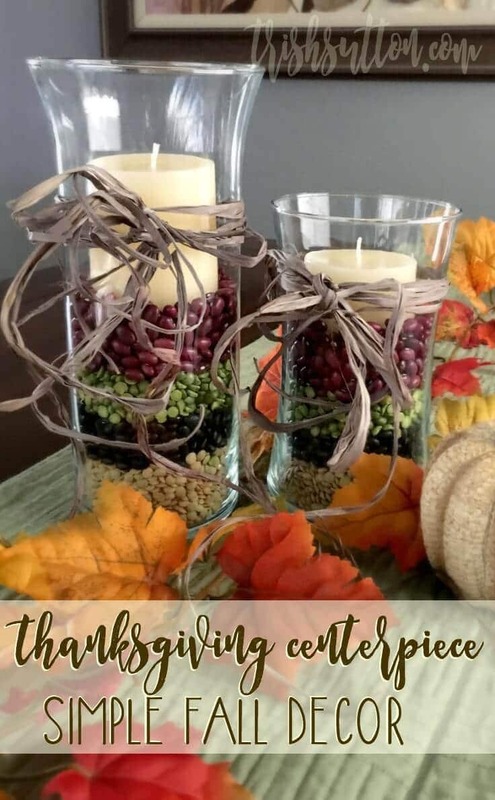 Finally, tie raffia (or ribbon) around the vase then place your Thanksgiving centerpiece on the table, a bookshelf or anywhere that you would like to decorate with festive fall colors. Simply beautiful! Looking for more Thanksgiving tablescape inspiration? 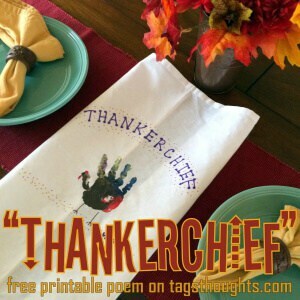 Check out our 6 Best Tips on How to Create a Thanksgiving Table Setting.